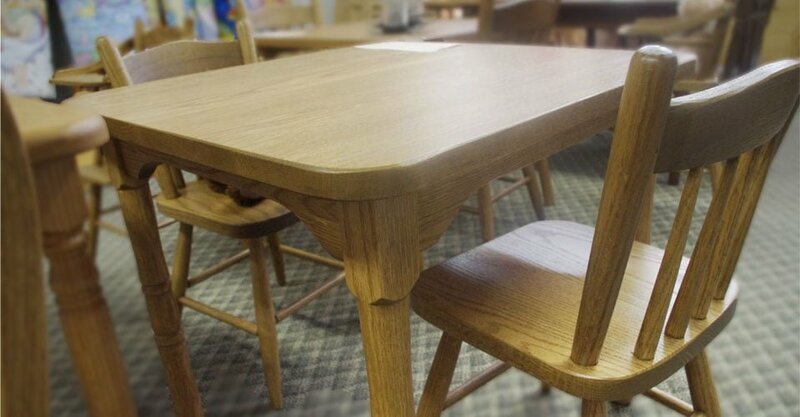 Solid and Cute are to words the come to mind when you see and feel our Childs Table and Chairs. We have many styles of chairs to go along with out tables (Pressback, Wheatsheaf, Hoopback, etc.) They are available in Oak, Maple and Wormy Maple Woods in your choice of our many stain colors.